The European cinema has not much addressed the continuously worsening financial, political, and above all, moral crisis that has led to the ever-unsolved question of refuge, refugees trying to find their way into the EU from abroad, and their regular, often substandard treatment. I’ve always preferred the version of the fairy tale where Little Red Riding Hood eats the wolf and not the opposite, but in real life I prefer wolves to the pale men of Wall Street. Two claims, one voice; two quests, one vision — and the formerly esoteric bard from Finland takes up his place at the forefront of world cinema by showing us just how miraculously they belong together. 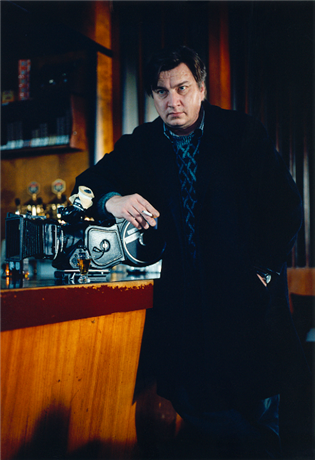 Three decades ago, the iconoclastic Aki Kaurismäki made the scene in what soon came to be called “80s New Wave” cinema, a lively “ur-form” of popular culture springing up across continents that used bold strides of style to subvert the conventions of old film genres and cultural standards at the same time. By re-appropriating familiar or found objects, emblems, sounds, personalities and investing them with new vitality in a freshly imagined context, the approach captured the energy and fandom of racial, social, and sexual subcultures inscribing themselves with their own identities. Many in these cohorts “crossed-over” and back in the way that teens traded clothes or videos; yet it was ideas, values, strategies for living that were being swapped, in a mode that De Certeau characterized as the transmigration of souls in everyday life. Still, few in the mainstream considered these lifestyles political; they were tossed off as the trends of marginal youths baited by fashion. Just the same, their zeal spread like tattoos across newly gentrified districts in old cities. Where did it go? One place might be close to the backyard of a Finnish filmmaker who made no less than eight feature films in the 80s, followed by another half-dozen in the 90s and others since, films becoming more transparently proletariat in their characters and themes at the same time that Kaurismäki honed his style as an auteur for the faint of dogma and the young at heart. 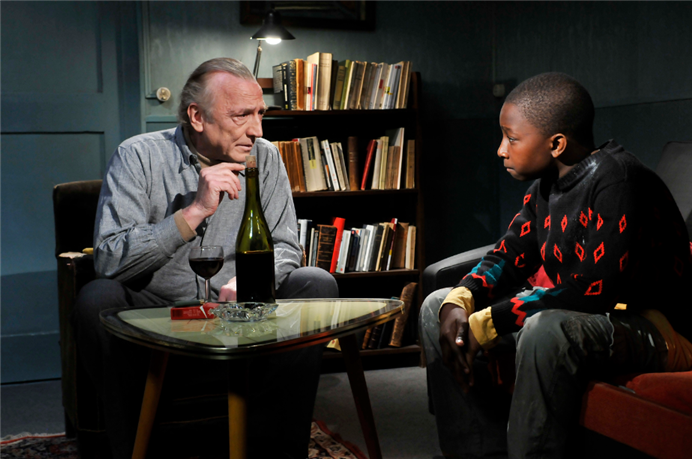 Even traditional fairy tales are often more grim than Aki Kaurismäki’s Le Havre, a radiant fable for our times that is disarmingly bold in force. Bresson’s L’Argent was once said to be too poetic to be Marxist; Bresson was “too interested in the mysteries of the spirit.” Kaurismäki just goes ahead and names his protagonist Marx — “Marcel” Marx, after Marcel Carné, the son of a cabinet maker who made one of France’s most beloved films in 1945, Children of Paradise, or is it Marcel Marceau, the mime who saved Jewish children in the French Resistance by silently entertaining them as he smuggled them into Switzerland? In Le Havre, Marcel Marx is a walking repository of such “mysteries of the spirit,” rising to become a better man by rousing the collective action of his community. 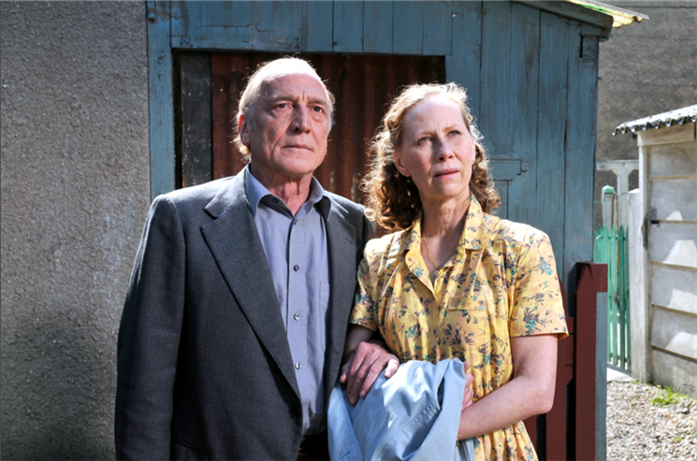 Marcel (André Wilms), a shoeshine man who has left his former life as an artist in France (that was Kaurismäki’s La Vie de Bohème) for a simple life in the old fishermen’s quarters of Le Havre, finds himself with two special challenges as the film opens. 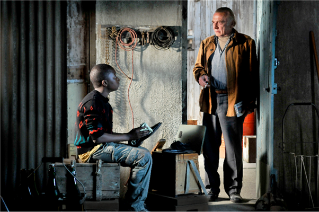 Not only does he decide to shield a young refugee, Idrissa (Blondin Miguel), who has arrived from Gabon hiding in a cargo container, but Marcel’s devoted wife, Arletty (Kaurismäki regular Kati Outinen), is hospitalized with cancer. 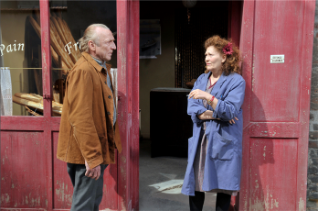 While she undergoes treatment, Marcel hides his young ward from Inspector Monet (Jean-Pierre Darroussin) and a nosy neighbor (Jean-Pierre Léaud) who informs. It sounds like a cross between a social issue treatise and a melodrama, but no such thing from this master filmmaker. 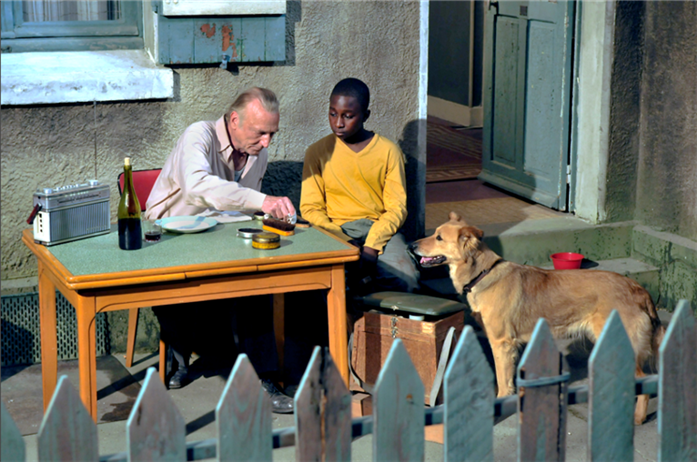 The well-oiled machine of Kaurismäki’s long-time crew takes on this tragicomedy with the same assurance that allows Marcel’s neighborhood clan to hide Idrissa without so much as a nod or a whisper. Marcel may have an unpaid bill “as long as the Congo River” at the local bakery and the grocer might close up when he comes around to shop, but this is all subject to change, just as the officer at the refugee center in Calais might actually believe he is “the albino” in Idrissa’s family, and the boy’s liaison at the refugee camp in Dunkerque might trust Marcel’s motives “because of his blue eyes.” There is a latent force of will in Marcel that has yet to be recognized, especially on his part. Fate is there to test him, and he is there to rally. Others will follow. Time will tell. As usual for this auteur, the film’s hyper-décor is as self-reflexive as its characterization and its storytelling mode. Just as 80s New Wave sported a ludic sensibility, a tenor of play that invented and celebrated many forms of bricolage, Le Havre is dotted with posters of the circus and a “trendy rock concert,” the retro touches of a juke box and a record player, starfish barrettes in Arletty’s hair, a pineapple and cactuses in the café, and primary colors in costume and sets — Arletty’s nostalgic yellow dress and Marcel’s golden coat, blue boats and docks and interiors, and splashes of red in bizarre places in every scene, from the specks of Monet’s tie in his black trench-coat garb, to ash trays and bouquets and the wall mountings of hospital stair rails, to Little Bob’s motorcycle jacket to Idrissa’s windbreaker as he faces the sea. 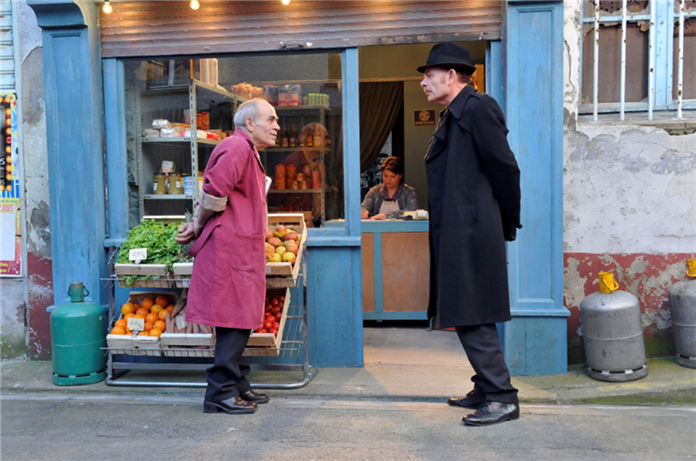 From the green-grocer’s vegetable cart to the colorful campfire stew in Dunkerque, Kaurismäki has a way of making it all look like a moveable feast. What takes longer to notice for the uninitiated is the stylized staging of each shot, with the director’s carefully composed frames: mannered acting borne on expressionless faces and often stationary bodies, shot with the camera in a fixed position — generally directly in front of the scene — and lighting specially designed by cinematographer Timo Salminen to deliver a halo effect on the actors. The style is blatantly artificial, but we’re so lost in the spell of the fairy tale we lap it up along with the characters who, odd-looking or low-to-the-ground as they may seem, are bigger than life in behavior, unbelievably saintly in dimension. As for shoe-shining, Marcel notes, “There are better professions, but beside shepherds, its closest to people and the last to respect the Sermon on the Mount.” He sets up his work kit right in front of a swanky shoe store. Is it Tati-esque naiveté or an act of resistance? No matter. The owner kicks it over. 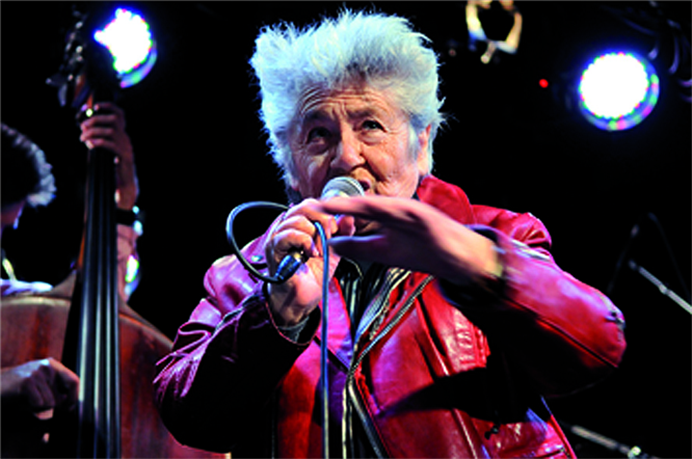 From Claire the café owner to Yvette, her daughter who runs her own bakery, even to Little Bob, the “Elvis of Le Havre” as long as Johnny Hallyday stays in Paris, we meet everyday saints who follow their own paths to heaven. And even Laika (Kaurismäki’s own dog), named for the pioneering canine cosmonaut, is on that path. It took some time for the writer-director to find just the right place to launch what he calls “The Harbor Town Trilogy.” Like a matelote of the roads, Aki Kaurismäki “drove the whole seafront from Genoa to Holland,” he has said, until he found what he wanted in the “city of blues and soul and rock ‘n’ roll, Le Havre.” Along with the live performance of Roberto Piazza in the film, the entire eclectic score of Le Havre, from its nostalgic accordions and movie-classic violins to its soulful solo voices, bathes the city in the bizarre fairy-tale ambiance that shines a special light on work and a sense of community. Part and parcel of this glowing space is Idrissa, transfixed, as he listens to a vinyl recording of “Statesboro Blues” sung by Blind Willy McTell. 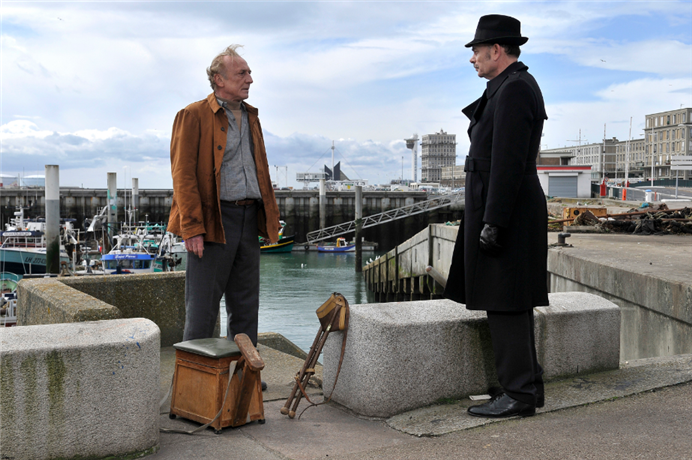 It’s a hypnotic moment — only one of the many unforgettable sound-image delights on offer in Le Havre’s charms. 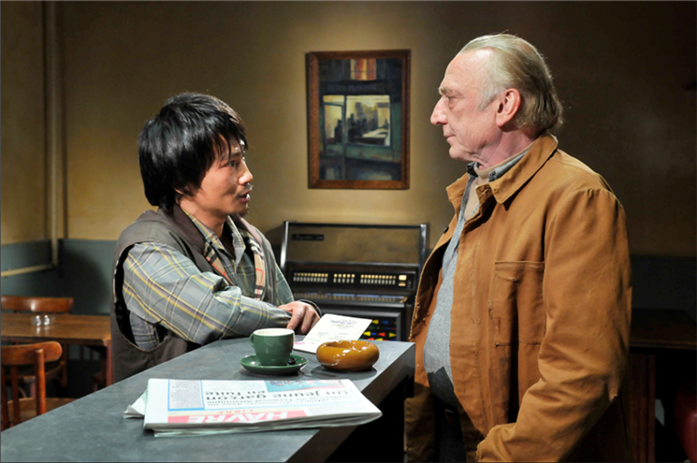 But know that the everyday rituals of work take center stage in Kaurismäki’s oeuvre. His serious themes, always absurdly funny, take up the predicaments of check-out clerks, assembly line workers, trash collectors, miners, and mothers with odd jobs. 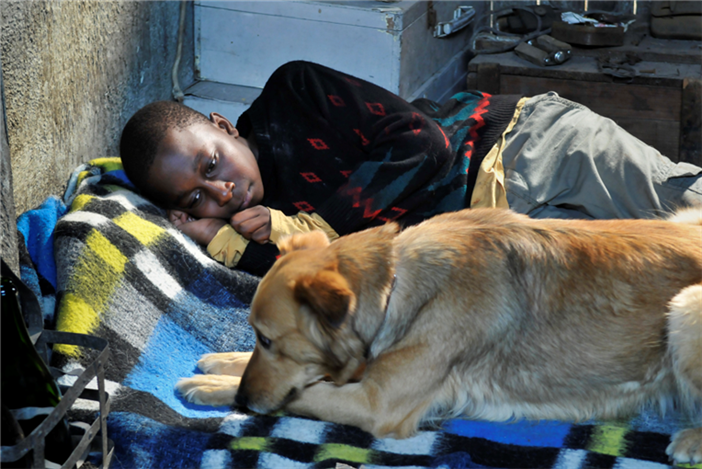 They might be unemployed or under-employed, homeless or on the move, but in their quirky ways, they seek to better their lives, and Kaurismäki, for one, enjoys seeing it happen. Le Havre is being released by Janus Films, the sister company of the Criterion Collection, which is now offering a pair of DVD boxed sets of Kaurismäki’s previous films — “Proletariat Trilogy” and “Leningrad Cowboys” — available through Eclipse. 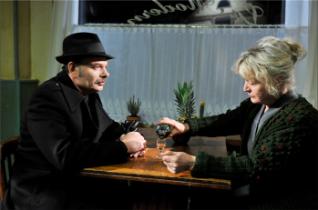 Director: Aki Kaurismäki; Producer: Aki Kaurismäki; Screenplay: Aki Kaurismäki; Cinematographer: Timo Salminen; Editor: Timo Linnasaio; Sound: Tero Malmberg; Set Design: Wouter Zoon; Costumes: Fred Cambler. Cast: André Wilms, Kati Outinen, Jean-Pierre Darroussin, Blondin Miguel, Elina Salo, Evelyne Didi, Quoc-Dung Nguyen, Laika, François Monnie, Roberto Piazza, Pierre Étaix, Jean-Pierre Léaud. Color, 35mm, 93 min. In French with English subtitles.